Just a few simple changes to your cover letter and your approach will give you what you need to build success: don't start from scratch, tailor the information, show your personality and follow up. A large part of freelancing is acquiring new clients and seeking out new opportunities. The first impression is based on your cover letters. And sometimes the cover letter is even the last impression you’ll make, so it needs to be professional, intriguing and streamlined. However, if you haven’t been getting the response to your cover letters that you had hoped, it might be time to revamp your cover letter and experiment with your approach. Don’t be overwhelmed with the thought of reworking your cover letter. You don’t have to start from scratch. A lot of what you have already probably works well. So, if you’re not ready to trash it and start over completely, don’t. Instead, analyze what you have already. What works? What doesn’t? If you have a difficult time being objective about your own writing and cover letters, have someone you trust look it over. This can give you new insight into how you present yourself, which can improve your cover letters. Each cover letter should be different. They don’t have to be completely different from one another. It’s OK to start with a base letter and add and detract depending on the job, employer and your credentials. However, the information should be tailored for the recipient. Make sure to address the letter to the appropriate person or company. Include the position or gig you’re applying for. Then, only include information about your experience and your credentials that relate to the job. If you do add something that doesn’t seem to fit, make sure to explain how and why it does fit in your cover letter. Don’t be afraid to let your personality shine through in your cover letters. It’s about finding the right balance between professionalism and individuality. If you avoid putting in some personality, your cover letter can end up sounding mechanical and dull, which is not how you want to portray yourself to prospective employers or clients. It can be tempting to send off your cover letter and then write off the job or company if you don’t hear back. But don’t be afraid to follow-up and remind them why you’re the perfect candidate for their needs. Stay polite and professional. You never know when you might have another opportunity with that company and being respectful, even after being initially rejected, can leave that door open for future possibilities. It might take some trial and error to find which parts of your cover letter work best. Once you’re able to identify what works and what doesn’t, you can further streamline your approach. 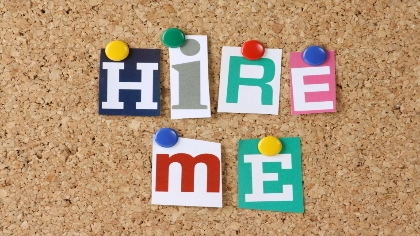 Doing so will increase the likelihood of a positive response and landing the gig. Remember that even if you have a stellar cover letter, you may still not get a response and they might pass you over. This isn’t necessarily representative of your cover letter. It could just be that you weren’t the perfect fit or they opted for another candidate. But making the above changes can give you a better chance at landing your dream gig or client.